It’s time to start thinking turkey. I thought I’d share my absolute favorite way to roast and eat a turkey. Soaking a bird in a flavorful brine creates amazing flavor that soaks through the meat all the way to the bone. 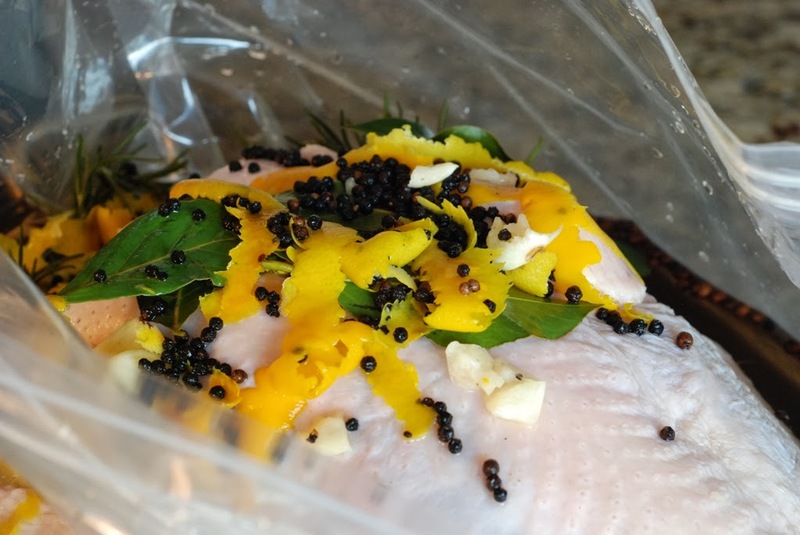 You have to be prepared and think ahead to brine a turkey. The turkey must be completely thawed. Brine on Tuesday, drain on Wednesday, roast on Thursday. Plan ahead. You won’t be disappointed. 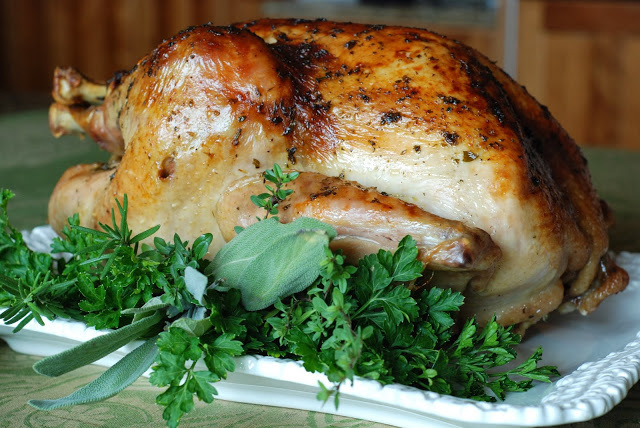 Now that the turkey has been soaking in brine, it’s time to roast that bird. Roasted Turkey with Apple Cider Gravy is heavy. The sweetness of the apple cider mixed with fresh herbs will make you cry it’s so fabulous. Remember this bird from last year. This is my niece. 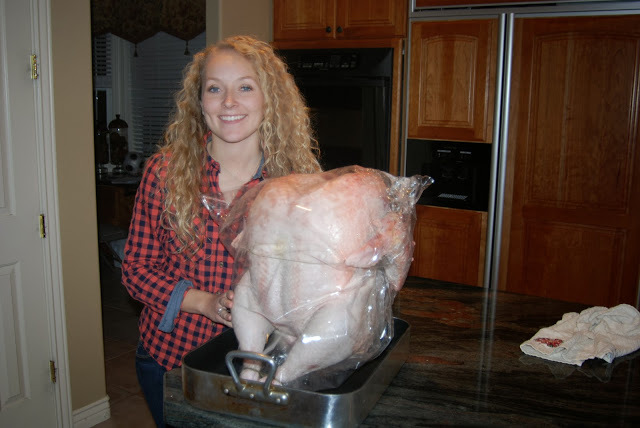 Her friends family raised Turkeys last year and was awesome enough to give this 40 pound turkey to her family for our Thanksgiving feast. 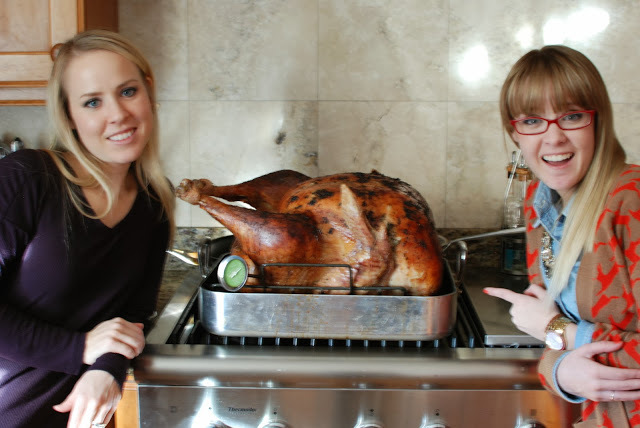 How do you roast a 40 pound turkey? Low, slow and LONG! I’ll just say this…bigger isn’t always better. 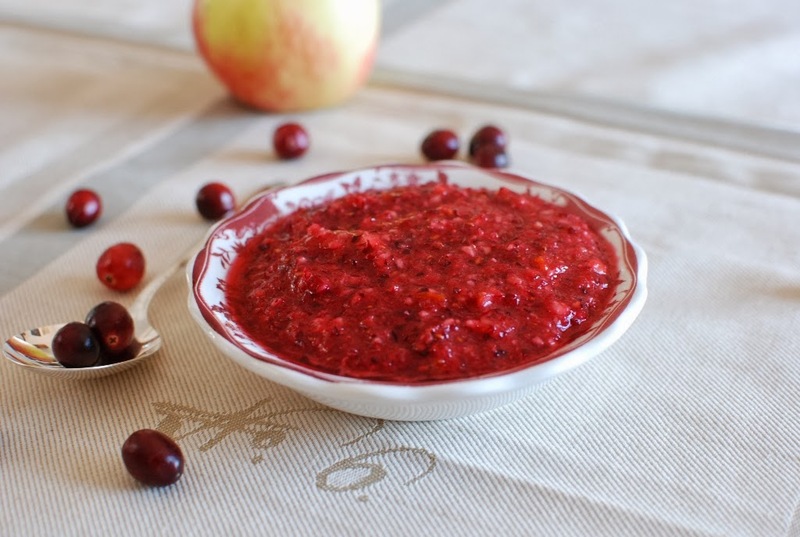 I love fresh cranberry relish. I can eat this relish with a spoon it’s so good. I just love cranberries. I can pop them into my mouth whole and raw. Get a jump on your Thanksgiving feast this year. Plan ahead. Stay tuned more mouth watering recipes to come.